The Self driving car phenomenon seemed a bit too good to be true for all of us, at least until a few years ago. Since this technology will change the life of its users upside down specially those living in or near big cities. Autonomous cars are now a reality and can be seen changing the daily lifestyle of residents of Mountain View, California. The way the residents get around will dramatically change with the advent of this technology. These cars look like Pandas and can drive you around, that too without any hazard. These self-driving cars take the Californians wherever they want without any need of having a driving license. 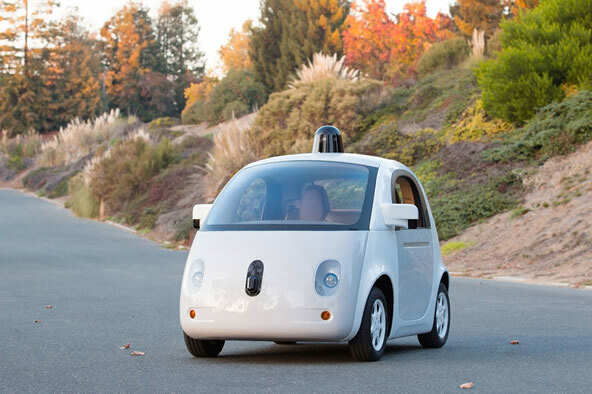 “Ok Google, drive me to work”, is how Mike Murphy points out at Quartz. At the beginning of the year, Quartz already explained how these cars were going to be functional sometime during the year. These cars are shaped like little pandas which can travel maximum up to 25 mph and the team also announced how the cars will possess a detachable steering wheel and brake pedal as well which will enable the driving to be taken over by the passengers if required. However this seems quite the opposite of what Google believes, since Google openly blames humans for accidents. A little while back a report on self-driving cars found that one in every twelve cars was involved in some kind of accident since September 2014 however the blame of the collisions lied with the humans and not the cars. Google is trying to get more data regarding what possibility is there for things to go wrong by getting these self-driving cars on the road now. Google researchers are trying to figure out different scenarios which would make these self-driving cars vulnerable on a normal road so that they can further improve the cars in order to enhance customer experience. Chris Ziegler reported for The Verge, which explained how Google launched a website for the drivers who interacted with the smart self-driving cars, in order to record their experience while encountering with those cars and to explain whether the experience was smooth and mesmerizing or not. This was also introduced in order to have an insight whether humans feel comfortable to interact with something on the roads which is not at all controlled by the human brain. The post Google Self-Driving Cars Can Now Be Seen On The Streets Of California by Ahmed Bilal appeared first on WCCFtech.